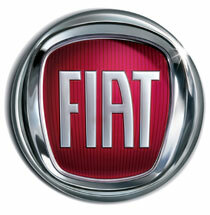 If you've had ongoing problems with your Fiat vehicle, you may be entitled to compensation. Since 1991, Kimmel & Silverman has provided free Lemon Law help to more than 80,000 distressed drivers. Vehicle does not start (Fiat 500 Pop and Fiat 500 Sport). Transmission problems, including popping, jolting, jumping, and stalling (several Fiat 500 models, especially the Fiat 500 Abarth). Dash lights illuminated, for example the airbag light or check engine light (Fiat 500 Sport and other Fiat 500 models). Leaks coolant, antifreeze, or water (Fiat 500 Lounge and Fiat 500 Pop). Chipping, bubbling, or peeling of paint (Fiat 500 Sport and other Fiat 500 models). Complete loss of power on the dashboard, killing the fuel gauge, speedometer, and temperature gauge (Fiat 500c). See also Fiat 500 Problems Abound.